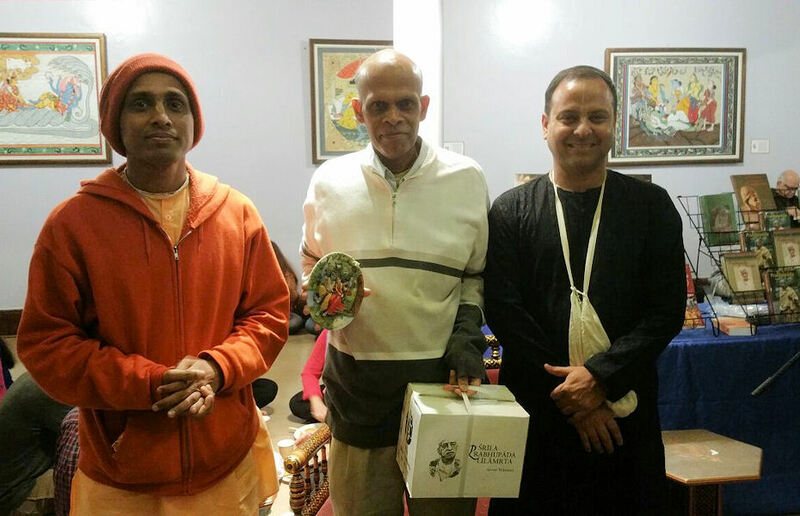 A Thank You to Sathi Prabhu ~ The Toronto Hare Krishna Temple! This past Sunday Feast, we took a little time out of our regular Sunday Feast announcements to thank one special devotee in our community, Sathi prabhu! You may recognize Sathi prabhu from his tripod and camera which he carries around during every major event and festival at ISKCON Toronto, Scarborough and Brampton. In a combined effort with Ananda Gauranga prabhu (Temple President of ISKCON Scarborough), Sathi prabhu has diligently captured so many of our major festivals. The results are clear and YouTube is now home to many hours-long videos of all sorts of Hare Krishna festivities around the GTA! Below are just a few examples of some his amazing videos that he has captured. Once again, we also thank Ananda Gauranga Prabhu for so nicely taking the time to upload all these videos as well!